Your gastrointestinal system has to deal with a daily onslaught of toxins, food allergies, lectins, and GMO’s that degrade the integrity of your digestive system. 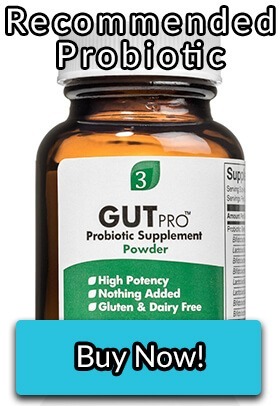 Are there any supplements that can help keep your digestive system in optimal health? High doses of zinc carnosine may cause zinc toxicity and reduce immune function. Take no more than 45 mg of zinc carnosine each day or 100 mg of elemental Zinc daily. Zinc carnosine should be used with caution in people with histamine intolerance, because carnosine contains L-histidine which becomes histamine. 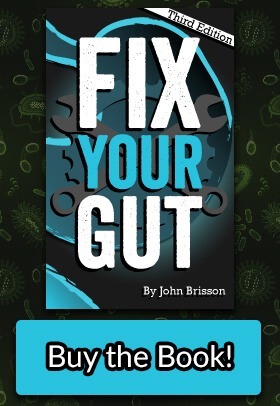 John, how do you fix suspected severe leaky gut if cant take any of the above due to histamine, SIBO or yeast/protozoa? Antimicrobials also make my food reactions worse (weakness, fatigue, numb hands, brain fog, loss of balance, dry mouth etc)? I heard colostrum is good but that if its halo-lactoferrin then some protozoa can feed off this (apo lactoferrin is best used)… so what else could I use? S boulardii no longer has any effect. I am a fan of colostrum, I have seen liposomial or raw goat colostrum work wonders. Just have to start with really small doses. How long should you take the three supplements for to heal the gut ? Thanks ! I am confused. I am treating for gastritis. You write zinc on an empty stomach can irritate and cause gastritis and later in the paragraph you say zinc carnosine can be taken on an empty stomach. Which is it?? I don’t want to do more damage. Thanks! Glutamine can actually RAISE ammonia levels in the brain, unless one has sufficient carnitine (not carnosine). L-orthinine is important in the reduction of ammonia so is L-carnitine. Interesting on the NAG, I will take note of that, thank you. Hi! I was wondering if zinc carnosine alone is enough to help with a case of helicobacter pylori and gastritis? My naturopath also has me taking metogenics Bactrex and Glutagenics. Thanks! Possibly, but remember H. pylori is very hardy and the standard conventional therapy to reduce it is 3-4 antibiotics at one time. Is there anything that can replace NAG. Is there any other product that can be substituted for NAG? also, whenever I start to take L-Glutamine, I always, and I mean, always, get a nasty UTI (urinary tract infection that goes up to my kidneys), it takes a whole course of antibiotics to clear that up. Did you hear of something like that? is there anything else that I can take instead of L-glutamine? I take the zinc carnosine without any problem though, but I don’t think it is enough to cure my gas/bloating and other IBS/leaky gut symptoms. 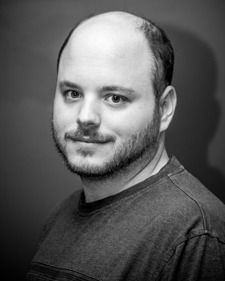 Excellent website and articles! I will have to look into your book today. I have a quick questions I was hoping you could help me with? What would you say is the best form of Zinc and dose to assist in healing leaky gut and mild ulcerative colitis? I am also fallowing Buhner’s protocol for Lyme. I see Zink Carosine is recommended for stomach healing but my issues are more in the intestines. I think sitting a LOT does not help either. I would recommend zinc glycinate at 15 mg at breakfast to start with. Thanks for this post. I knew about L-Glutamine, but not the others. Trying to unravel the mystery of what will work. I’ll definitely check out the book too. I’ve used the above with good results but adding one more was transformative for me — MK7. I discovered it when I starting taking D+K dots (they were out of plain D dots at the vitamin store) and wondered what made such a difference. After experimenting, I realized it was the D+K dots I had recently started. I looked up the Vitamin K in them and ultimately was led to the variation called MK7. I’d seen it by Jarrow many times but had no idea what it did. For me, MK7 is flat out amazing. I’ve always had digestive issues, but getting older, they had gone crazy. I always keep NAG, Glutamine and Zinc around for bad bouts but please consider adding in MK7. I don’t know why it helped me so much but it was amazing … but only when added to the NAG, etc regimen. Colostrum also seems like a great addition for me as well. Hi Just wondering would you recommend taking the NAG, ZInc and glutamine altogether? I would not take the L-glutamine because H. pylori can feed off of it. NAG and zinc carnosine should help. 45 mg of zinc itself apart from the carnosine. Would it be beneficial to take NAG in conjunction with Zinc Carnosine? If so, would it matter if they were taken at the same time or at different intervals? Also, I’ve read about the potential of zinc toxicity and the need to balance zinc with copper. There was no mention of this in the reports about the Japanese trials which I believe lasted 8 weeks. At what point do you have to worry about too much zinc? https://fixyourgut.com/the-magic-bullet-supplement-for-stomach-issues-zinc-carnosine/, you can take NAC at the same time as zinc carnosine, with food. That being said use NAC with caution it is a systemic biofilm chelator and doses above 1,200 mg are a pro oxidant. 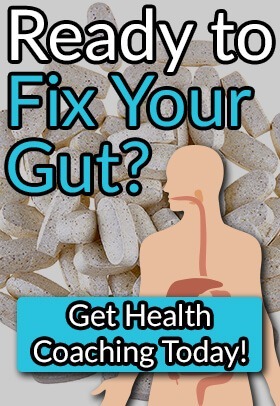 I’m confused: in your book, “Fix your gut”, you recommend Now Foods L-Optizinc on one page, then state that you recommend Zinc Methionine more than any other zinc – but here you recommend Zinc Carnosine. Is this because they are recommended for different symptoms, or for some other reason, please? I apologise if it’s explained later in your book: currently I’m up to the section about zinc, at the moment. L-optizinc is a form of zinc methionine it is just better absorbed because it is only the left isomer. Cheers John. I’m enjoying your book and am finding it very informative, thank you. I cannot think of a reason you could not. Mix it with food. You recommend Pure Encapsulations Peptic Care ZC in another article (as the one you take), but it has 75mg of zinc carnosine. In this article you recommend no more than 45mg per day… Is Pure Encapsulations Peptic Care ZC ok to take each day? I heard Dave Asprey talk about a supplement he recommended to take when eating tomatoes, to bind lectins, but I haven´t been able to find the article again. Could NAG serve that function? If yes, would that really make tomates (and/or other nightshades) bulletproof? I see thanks; in that case I’m going to give your top recommendation a try and test out zinc carosine. You stated that it may be taken on an empty stomach as needed; is it more effective when taken on an empty stomach? If you have an ulcer or gastritis take it on an empty stomach, to help repair more of the stomach lining. Everyone else can take it with food. Also do I take zinc carosine on an empty stomach for greater absorbtion or with a meal? Standard glucosamine is different than NAG and will not work as well, most supplements also come from shellfish.